The survey I saw was in the Sunday Times and re affordability for first time buyers, so I’d assume data was from either Land Registry records, estate agents and/or the Help to Buy scheme. First time buyers presumably don’t go in much for million pound properties in Chelsea. Chris R – There’s two distinct and different groups though. Where jobs are based and where people live. Indeed Frank Field referred to this problem of data not being available and up-to-date when the DWP Select Committee was hearing evidence. eg if you look up Lpool Riverside you’d think it had full employment as there are more jobs than adults in that constituency – but of course most doing them do not live there. It’s true that there is ward by ward data from the Census for earnings and so on but it usually takes 3 years for the same to be published by universities or local authorities in reports. The only up-to-date annual figures I’m aware of borough/city-wide are small surveys by trade unions or student unions re the cost of living in different UK cities. The age-old debate about the difference between domicile and work location does exist but should not be used as a red herring to ignore the data that is collected, just to be mindful that it doesn’t tell the whole story. In any case, one of the mistakes that is usually made – and which Field made there – is to overestimate the effect of workers crossing administrative boundaries and underestimate the number and effect of those who do not. The fact that making the mistake Field made strengthened Field’s point was, of course, entirely a coincidence. Anyway, you can interrogate APS data, through NOMIS, using travel-to-work geographies (which gets around much of these issues). 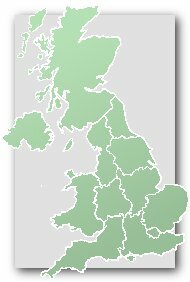 Centre for Cities have just published up-to-date data as part of their annual Cities Outlook series (here: http://www.centreforcities.org/publication/cities-outlook-2018/). I am not sure what you mean by ‘it takes 3 years’ for the data to be published. No, it is there, for public use, once it’s released (2017 data should be available Easter-ish), and people use it, even if you don’t then read the outputs. Chris R – I agree with much of what you say, but your reply to myself above (29.01.18) implied that you had seen ‘borough by borough’ data which is up-to-date. I realise Sefton is unusual, but there is simply no such up-to-date income data for that borough. Travel to work areas are useful yes but again it’s simply a fact that ward by ward data is only published on a largescale 2.5 years after a Census. Field wasn’t wrong at all – it isn’t a slight anomaly I’m talking about. I was referring to the fact that MOST of the over 90,000 who work in Lpool Riverside seat do not live there. The reason Frank is very aware of this is because a quarter of them are backed up every day driving home to the Mersey Tunnel travelling through his constituency. He’s one of the few experts on Universal Credit and indeed the civil servant in reply admitted that up-to-date data is not available. It’s precisely why HMRC are (wrongly) taking £ from student loans a year or more after they were repaid in full and why the self-employed UC claimant is being underpaid by DWP.